What is the in-country representation requirement for device companies selling in Colombia? What is the role of the Colombia Legal Representative? Can we hire a distributor as our Legal Representative in Colombia? Interested in registering and marketing your medical device in Colombia? If you have no local presence in the country, you are required to appoint a Colombia Legal Representative as part of your regulatory approval process. Emergo is an experienced regulatory representative with offices in Bogotá, Colombia. In compliance with Decree 4725/2005, foreign manufacturers must issue Power of Attorney to a licensed attorney in Colombia. Once this relationship is established, your Colombia Legal Representative manages your registration process and interacts with the country’s medical device regulator, INVIMA, on your behalf. You must maintain your Legal Representation relationship for as long as you market your device in Colombia. Emergo has the resources and expertise to serve as your Colombia Legal Representative and help you bring your medical device to the Colombian market. As your independent Legal Representative, we focus on Colombian regulatory affairs and how they affect your medical device registration. 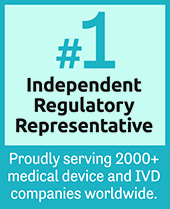 Emergo is a professional, independent in-country representative that specializes in medical device regulatory affairs. Your success in Colombia is our goal. How do I control my approval with Emergo as my Legal Representative? When companies register through a local distributor, instead of an independent lawyer/legal representative, the distributor will often list themselves as an owner on the registration, along with the foreign manufacturer. In this case, this means that any future modifications, such as adding a new distributor, models, etc., would need to be approved by both the manufacturer and the distributor. As your Legal Representative, Emergo will register your devices in only your name, ensuring that no other companies are listed that would limit your control over your approval. Can I transfer my registration to another local registration holder? Registrations can be transferred in Colombia as long as the original owner(s) will agree. If the owner includes a distributor, they usually are not willing to give up control of an application, and often companies need to submit a new application. If you select Emergo as your legal representative, then you can move or change your registration as needed, since we will submit the applications with you as the owner and controller of the registrations.